Mount Moran is prolific for its unconventional shape as well as towering straight up above the valley floor. The sun rose and illuminated the peak of Mount Moran. 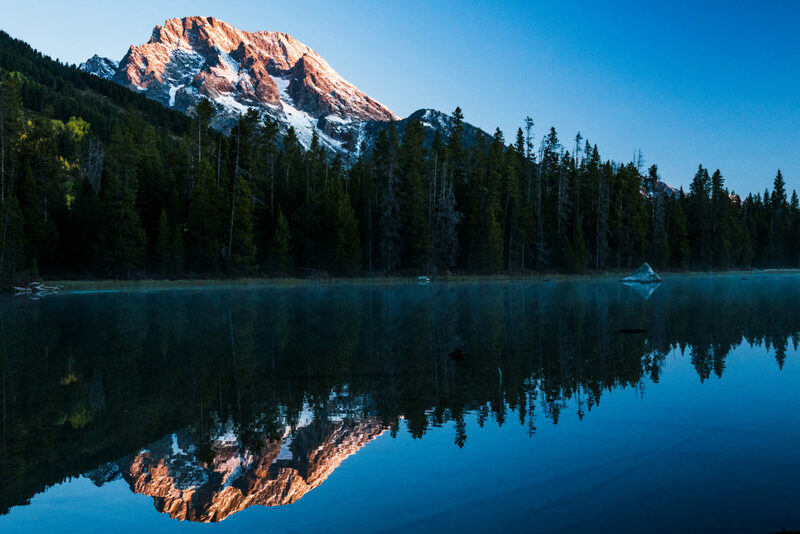 The pristine and still water of String Lake perfectly reflects the jagged peak.